CannonDesign’s New York City Health Market Leader, Robert Masters, and John D’Angelo, MD of Northwell Health were recently featured in a story from Becker’s Hospital Review about Emergency Department (ED) patient flow. 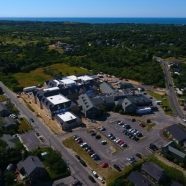 The article, “How Northwell Health redesigned 2 of its EDs to drive efficient workflow,” highlights how we partnered with our client to establish the “split flow” model, which aims to reduce bottlenecks and allow patients access to the care they need more efficiently. 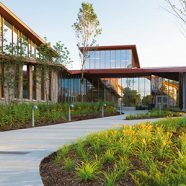 In an effort to improve operational workflow at its facilities, New Hyde Park, N.Y.-based Northwell Health partnered with the New York City office of CannonDesign, a global architecture, engineering and design firm, to redesign two of its EDs at Huntington (N.Y.) Hospital and Southside Hospital in Bay Shore, N.Y., using the split flow model. 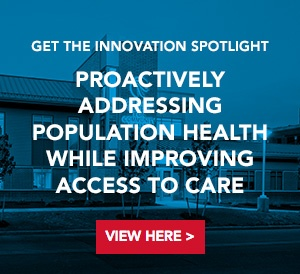 John D’Angelo, MD, executive director and senior vice president for emergency medicine at Northwell Health, told Becker’s Hospital Review the health system spent nearly six years experimenting with various practices to optimize workflow. 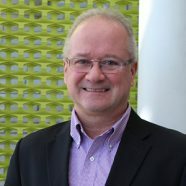 He said his team and the CannonDesign team opted for the split flow model because it allows the majority of low- and moderate-acuity patients to be assessed by a provider much quicker than the traditional ED format allows. For example, a patient’s insurance information is recorded almost immediately once he or she enters the ED. This allows front-line staff to process the individual’s information faster, Dr. D’Angelo noted. 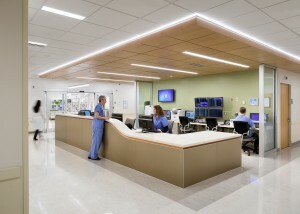 The lower-acuity side of the split flow model, which Northwell Health refers to as the “super-track ED,” features a mix of open treatment bays and flexible treatment rooms, sub-waiting areas and vertical waiting patient positions and interview and consultation rooms all organized around a central team station, Robert Masters, a principal in the health practice for CannonDesign, told Becker’s Hospital Review. The positioning of the super-track ED allows the care team to efficiently move their lower-acuity patients through the steps of their visit and manage their patient experience by keeping them out of higer-acuity clinical areas of the ED, Mr. Masters said.